Two years ago, I wrote about the delays in repairing the collapsed town wall behind St Laurence’s Church. This Monday, 18 February, is the sixth anniversary of the collapse. No repair work has been done. The churchyard behind the church remains an ugly mess that damages the setting of the Cathedral of the Marches. Saplings are growing out of the collapsed wall face weakening the historic monument further. We have one of the most complete town walls in Europe. But neglect and overdue repairs have led Historic England to add Ludlow town walls to its Heritage in Danger list. The town council should be ashamed of this. Ludlow Town Council is crawling alone at snail’s pace in arranging the long overdue repairs. I fear I may be still be writing about this on the tenth anniversary of the collapse in February 2023. Today, Saturday, it will have been four years to the day since the town walls behind St Laurence’s church collapsed. Almost nothing has happened to get repairs underway. The town council has missed the 2017 funding cycle. There must now be doubt whether the council can get funding in place by 2018. It should appoint heritage champion to ensure that there are no further delays in getting the walls repaired. Otherwise, I fear it will be years before the repairs start. There is good news for Ludlow’s heritage with yesterday’s announcement from Historic England that the Buttercross has been removed from its risk register. When last year’s register was published, I said I was disappointed that the Grade I listed building was still considered at risk. Now, the Heritage at Risk 2015 Register confirms, by its omission, that the building is no longer at risk. 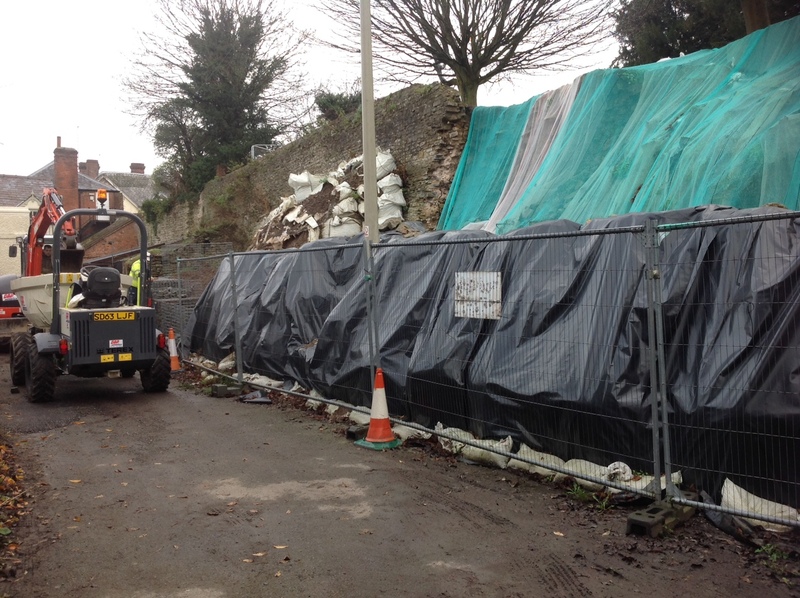 In the heady days after the town walls collapsed behind St Laurence’s on 18 February 2013, there were promises of immediate action to repair them and even Shropshire Council dipping into its pockets to fund the work.